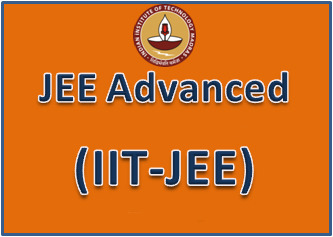 According to the JEE Advanced notification, the exam is conducted by seven zonal IITS (under the directives of the Joint Admission Board (JAB)) to screen students for admission to the undergraduate programs of the 16 IITs located at Bhubaneswar, Chennai, Delhi, Gandhinagar, Guwahati, Hyderabad, Indore, Jodhpur, Kanpur, Kharagpur, Mandi, Mumbai, Patna, Ropar, Roorkee and Varanasi. The exam also screens candidates for admission to Indian School of Mines(ISM), Dhanbad. Paper 1 will be conducted from 9 am to 12 noon, while Paper 2 will be conducted from 2 pm to 5 pm. As soon as the JEE Main results are declared, students of all the categories within Top 2,24,000 rank holders list should register for JEE Advanced exam. The registration can be done online at the official website of JEE Advanced. The information brochure for the exam is now available online. Here you can find all the details related to the exam. Download it and read it carefully because the eligibility criteria and syllabus of IIT JEE exam is different than JEE Main exam. JEE Advanced will be conducted in English and Hindi. Candidates will have to specify the language of their choice when they register for the exam. It will have two papers, each with three sections – Physics, Chemistry and Mathematics. The duration of the exam will be of three hours. Questions asked in the exam will be of objective type and will be multiple choice questions (MCQs). They will test students’ understanding of the subjects as well as their reasoning and analytical ability. Some sections will have negative marking too, so the students are advised to answer only those  questions they are sure of. The candidates will receive a two-page doublet of Optical Response Sheet (ORS). As they will mark on the front page of the sheet, the impression will automatically get recorded on the page below. Hence, make sure that you do not separate or disturb the alignment of the sheets during the exam. After the exam, the invigilator will give you the second sheet which you can check with the answer key that will be published on the official website later. Candidates must also read the instructions carefully and darken the answer bubbles in the correct manner. Blind candidates can request for scribes, whom they can meet one hour before the exam. The process for this can be found in the information brochure. Only those candidates who are among top 20 percentile and has got more than 75% will be eligible for JEE Advanced 2019. 3% of total seats in each category are reserved for Person with Disability (PwD) candidates, which means 3,393 seats from General category, 1,814 seats from OBC (NCL) category, 1,008 seats from SC category and 504 seats from ST category are reserved for PwD candidates. Candidates who are able to secure the required rank in JEE Main 2019 are only eligible for the JEE Advanced 2019 Examination. Note: Those students who have appeared for the qualifying examination in 2017 or earlier are NOT eligible for JEE Advanced 2019. For boards that only awards letter grades, candidates will need to obtain a certificate from their Board specifying their equivalent marks at the time of online acceptance of seat. If Board results are declared after July 16, candidates should not attempt JEE Advanced 2018. If the candidates fail to produce statement of marks in 10 + 2 exams at the time of admission, they will be not allowed extra time to do so. Candidates are only allowed two attempts in consecutive years to crack JEE Advanced. Hence, candidates who appeared for their Class 12 board exam or IIT JEE in 2017 or earlier are not eligible for the exam. Only candidates who cleared their Class 12 in 2018 or will appear for it in 2019 will be able to take JEE Advanced, if they fulfill all the other criteria. Candidates who were admitted to any of the courses at IITs or ISM Dhanbad earlier will not be able to take IIT JEE exam 2019. Results of JEE Main 2019 will be declared by 3rd Week of June, 2019. Once the payment once done, cannot be refunded or claimed. Category and Sub-Category (PwD) certificate (in case of reserved categories). Male candidates of SC, ST and PwD categories will have to pay Rs 1,300 + GST to register for the exam. All female candidates, irrespective of their categories, are exempted from examination fee of the Advanced exam. All candidates, irrespective of their categories or gender, who opt to take exams abroad will have to pay US$ 300 + GST. Fees will have to be paid through Bank Challan generated after submitting the online application form. The Admit Caard of JEE Advanced 2019 has been released. click the link for download JEE Advanced Admit Card (This link is not active on JEE Website at this moment. As soon as it will be live, we will also updated here.). According to the JEE Advanced 2019 notification, candidates will have to download and print admit card for the online exam from its official website from 3rd Week of May, 2019. Do check the name, photograph, signature, date of birth, address, language you opted for and category on the admit card carefully. In case of any discrepancy, students should contact the Chairman, JEE (Advanced) of the Zonal IIT not later than 3rd Week of May 2019. When students come to the examination centre, they need to bring their admit cards along with an identity verification card with themselves. Students must keep their admit card safe till the seat allocation and admission process gets over.